Women Who Wine gather at Lakewood Yacht Club to make plans for their next project. They are, from left, front row, Robyn Weigelt, Mary Ellen Arledge and Anna DeWald; middle row, Julie Osburn, Johnette Norman, Bonnie Lem, Anita Fogtman, Shelley Rogers and Era Lee Caldwell; and back row, Helen Seitz, Marcy Fryday and Julie Johnson. Women Who Wine. Sounds like a partying group, doesn’t it? But actually, it’s much more than that. For openers, it’s a non-profit organization. Founded in 2005, members of Women Who Wine of Texas believe when positive thinking women come together, they can have a changing impact on their community. One of the goals of the founding members was to aid those in need in the local area. Annually, the Women Who Wine adopt a family during the holiday season to provide the children with a visit from Santa. In addition, at the beginning of the school year they provide school supplies for numerous children in the Clear Creek School District. Since its inception in 2005, the organization has raised and donated thousands of dollars. In addition, when asked, they create wine baskets throughout the year for silent auctions that benefit local non-profit fund raisers. “They believe it is about finding a passionate purpose and making contributions of time and funds. 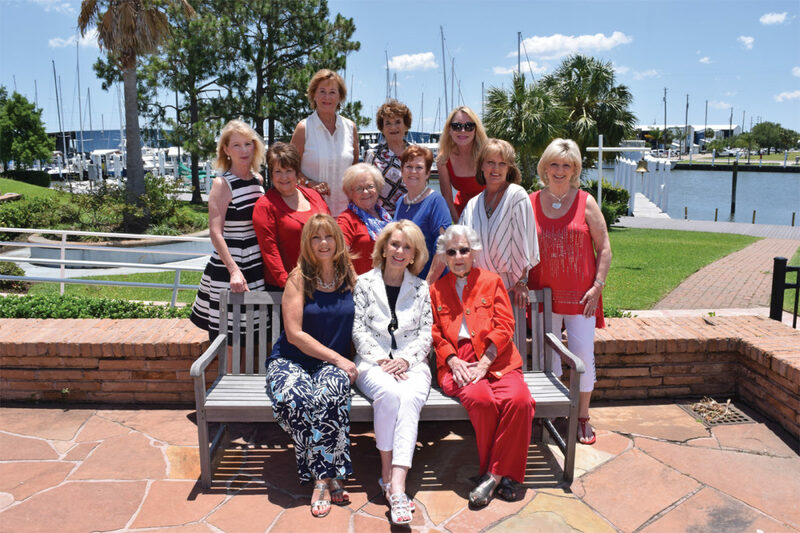 These women are committed to combining their efforts and dedication to make a positive difference,” Mary Ellen Arledge said. And, yes, they enjoy trying out different wines when they meet. Besides Mary Ellen, other members are Marcy Fryday, Era Lee Caldwell, Bonnie Lem, Shelley Rogers, Julie Osburn, Johnette Norman, Robyn Weigelt, Anna DeWald, Julie Johnson, Anita Fogtman and Helen Seitz.